Reed Adair Bobroff. Photo by Kendrick Kirk. New Songs, Old Traditions is part spoken word, part comedy, and part Powwow. Born out of personal experience and conversations with Native students at Yale University, this show examines the legacy of indigenous students and some of the challenges they face in transitioning to college. Reed Adair Bobroff (Diné) is a poet, playwright, and performer from Albuquerque, NM. He has shared his work in print in the Breakbeat Poets Anthology and on stage at the Nuyorican Poets Café, the National Museum of the American Indian, and on HBO’s Brave New Voices. In 2016, he was the winner of the Yale Young Native Storytellers Playwriting Award for his play, A Fraction of Love. 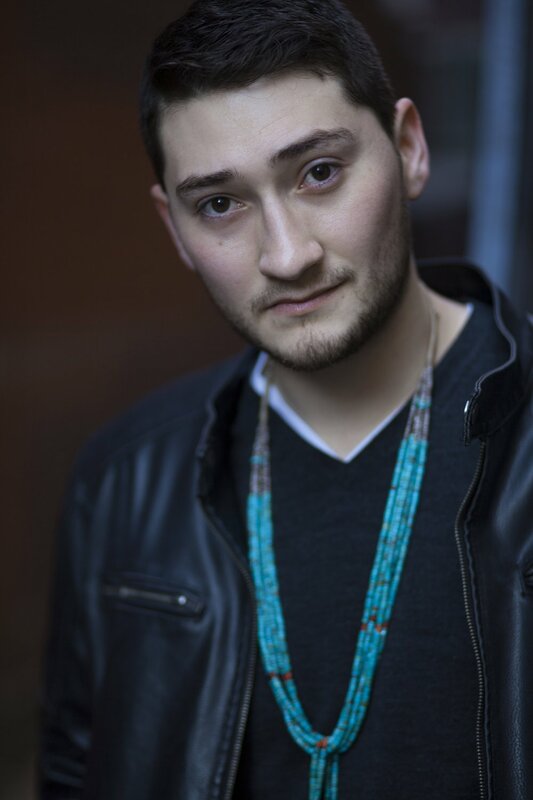 He graduated from Yale University with a degree in Theater Studies and now works at the Yale Child Study Center researching the healing quality of writing in Native communities and those struggling with addiction.